PORT CHARLOTTE LOT READY TO BUILD YOUR HOME IN SUNNY FLORIDA. Lot next door #18 is also for sale at same price to give you a double lot 160x125 in size. 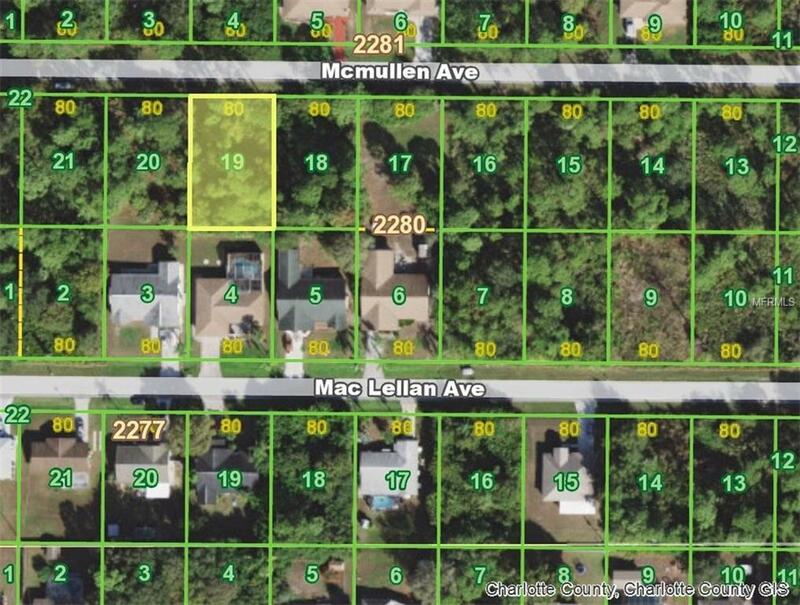 Check it out also at MLS # C7407176 Lot located just a few blocks from Kings Hwy and Interstate 75 and shopping and Restaurants. Medical Centers and 2 hospital a few minutes away. Take a short trip to our beautiful Gulf Beaches for a day of fun or fishing at your finger tips. Great Location.